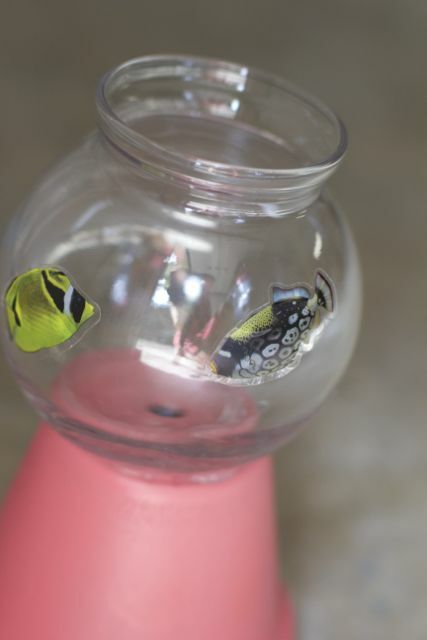 I can’t get over the irony of a cat and a fish bowl, so I decided to make our DIY Cat Treat Holder to look like a small fish bowl. Lacy will not be interested in the fish since they don’t move but I thought it would be funny. This is a simple DIY craft that won’t take long and won’t cost you very much either. 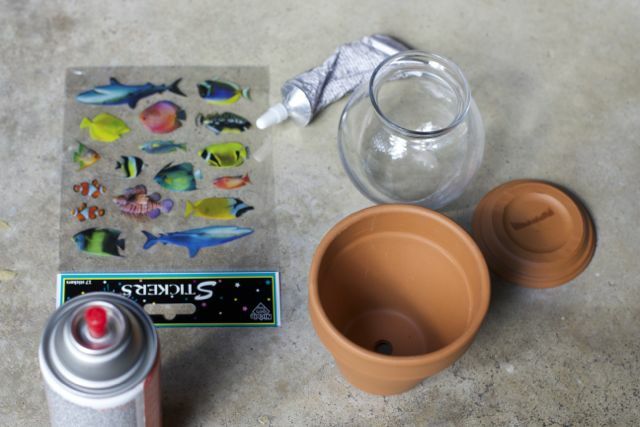 First you will need to paint the clay pot parts the desired color using spray paint. 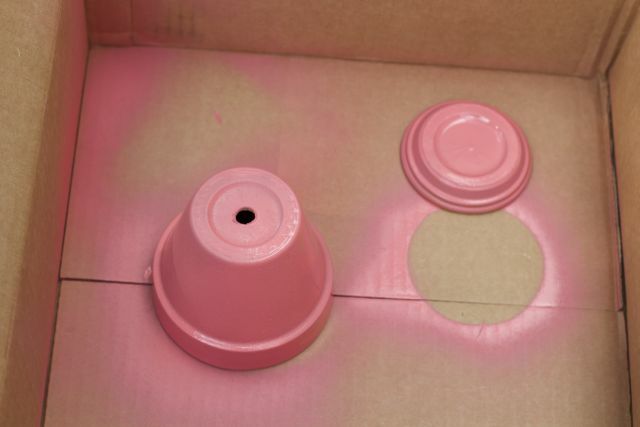 Spray Paint is the easiest method but if you prefer to paint on your color do so as well. Allow the pot to dry completely. 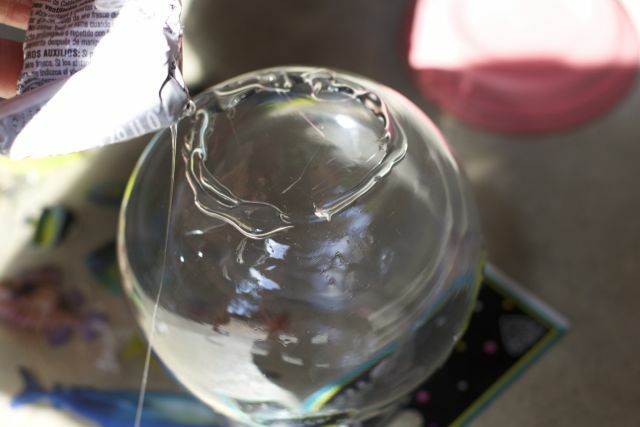 Using a strong glass glue, attach the glass bowl to the bottom of the overturned clay pot. Allow to dry. 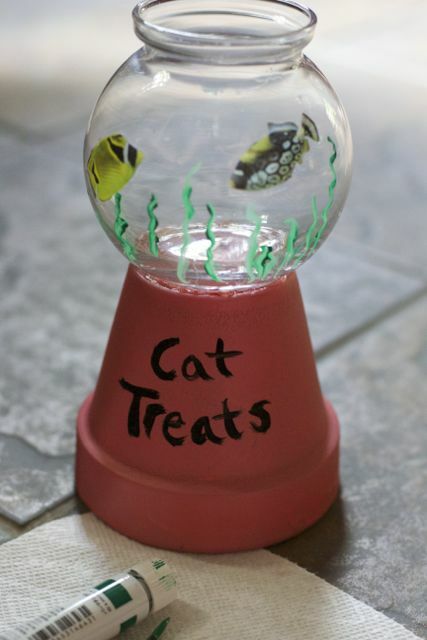 Using acrylic paint, add additional decorations to the outside of the bowl, like the fish bowl grass, cat treats wording or any other design ideas you may have. Fill your glass bowl with the cat treats. Top the glass with the clay pot dish to keep your cat from serving herself. Now prevent yourself from getting a back ache when buying and changing your cat’s litter. 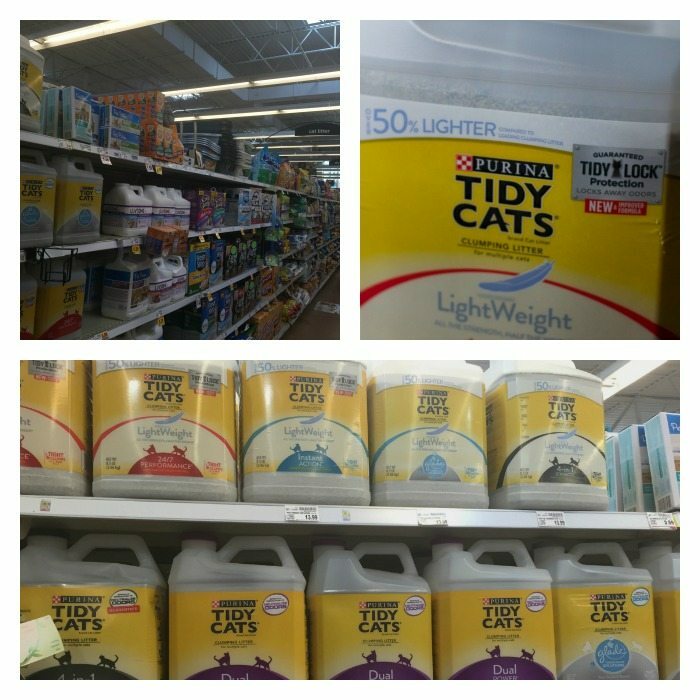 I recently picked up Tidy Cats® Lightweight Cat Litter at our Kroger. With the new formula you get a lighter weighted cat litter that includes TidyLock ™ Tthe new and improved formula that now better locks away odors. This is truly a win win for both your cat and your family. You can pick up your groceries and supplies for your pet in the pet aisle at Kroger. One stop shopping is something I need when keeping up with our busy family life. 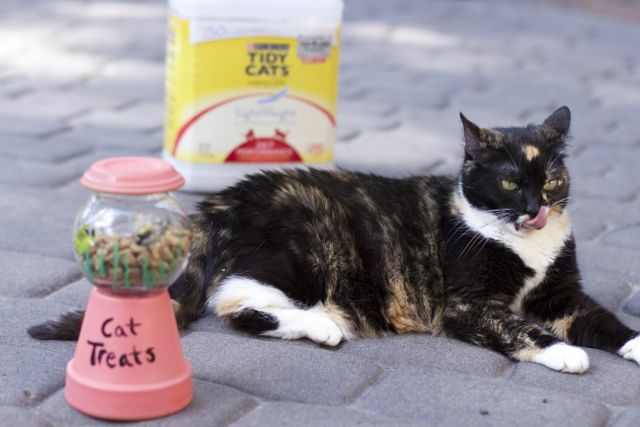 To find out more about the The Tidy Cats® Range of cat litter products including coupons for $2 off Dog Chow Natural dry dog food• $1 Off Tidy Cats Lightweight Litter• $1 Off Tidy Cats Litter. What do you love best about your cat? 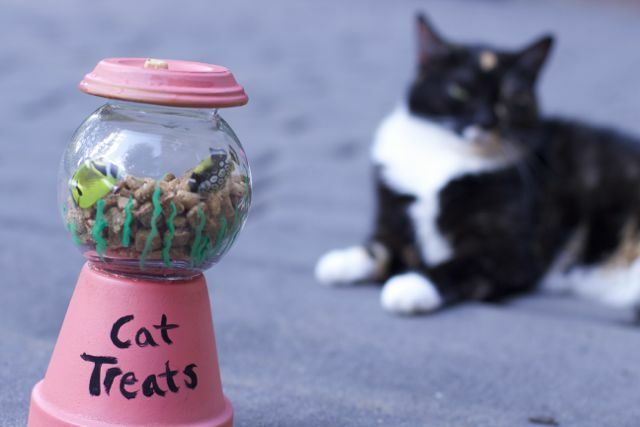 How would you decorate your DIY Cat Treat Holder? Thank is so cute! This post is making miss my old kitty, Pumpkin. She would of loved this. Oh my word this is too cute. I am not much of a DIY gal but i must try this project. My son will love it. 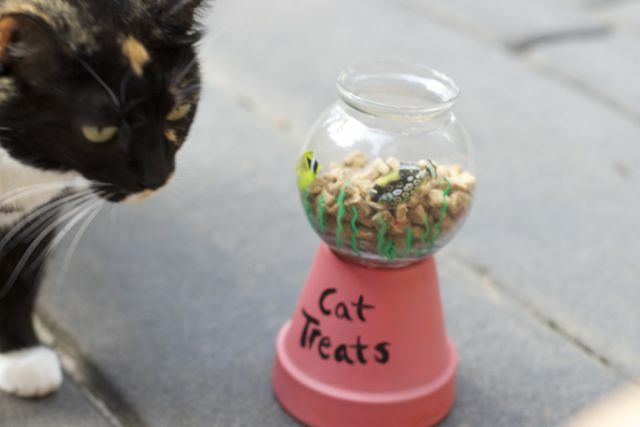 I love this cat treat holder! I really think the stickers make it more fun. I would love to have one of these for my two cats. 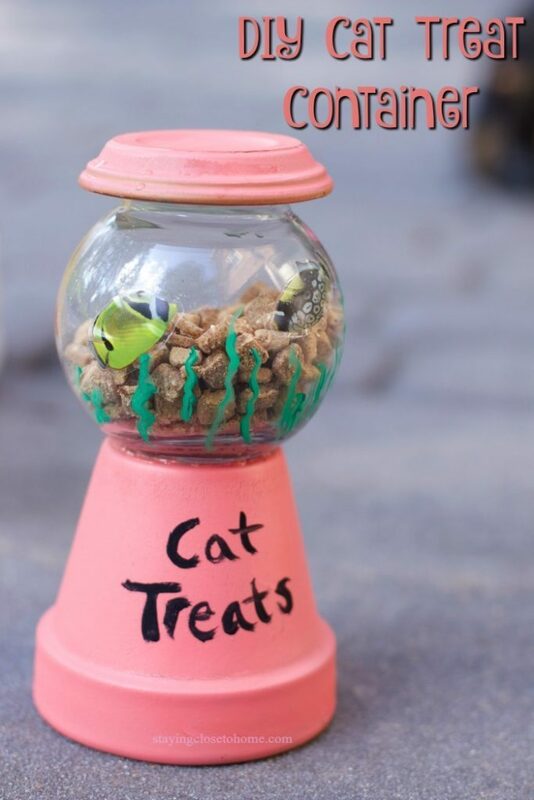 I know my cats would love the fact that I had a special place for their treats. So easy and so cute. Your kitty is so cute! I bet mine would like a treat holder as long as I left the lid off so he could devour them all! Great post! Aww, I love this idea. The fish stickers are really cute. I’d love to have a little container like this for our cats. Hey, we both wrote about our cats today! I love that. What a beauty. I love this treat holder. I love many things about my cat, but the main one is that she sleeps with me.